MEET THE MCN TEAM: Managed, published, produced and written by Rich and Laura Lynch – Music City Nashville is the online guide to what’s happening in America’s “It” City – Nashville, Tennessee. We cover music, sports, entertainment, travel and food in addition to social and political matters in the city and surrounding areas. Rich and Laura have over 24 years experience covering sports, music, events and social issues – with many of those spent in the competitive New York/New Jersey market reporting on Broadway, top level concerts, attractions and beyond. They’ve brought their spirit of excitement and attention to detail to Music City Nashville. Founded in 2015 the pair have quickly received wide acceptance from many of the locale’s top venues and industry marketers. INVITE US OUT – WE’LL COVER YOUR STORY! 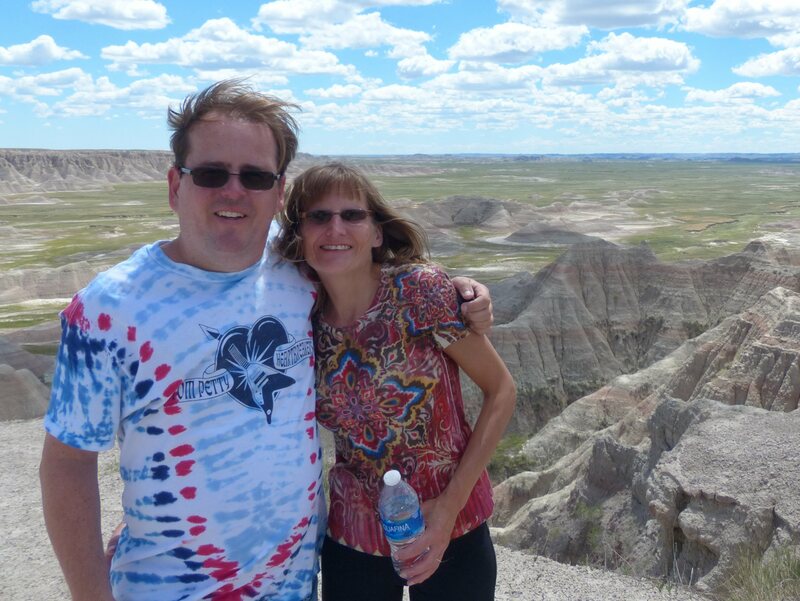 Music City Nashville founders Rich and Laura Lynch tour The Badlands in 2016.